Easy-Data Mediacenter (EDM2013) for FREE! 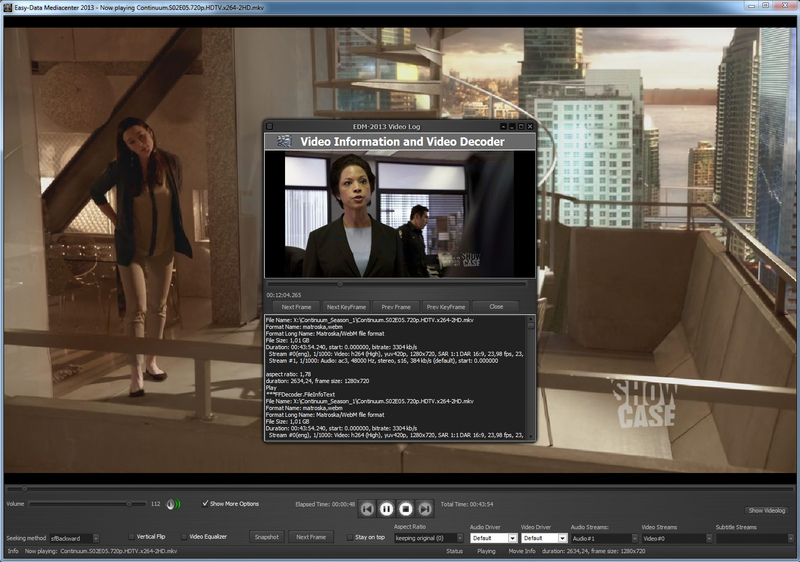 Media player development and multimedia software as it should be! Update 20.11.2014 - Work Update! It has been a while since last work update. In the last update i wrote about a covermaker tool, and that i was testing out some components for that use. Well, I have found what I was looking for. And all I want to say so far is that the possibilities with these new components far exceeds a standard covermaker. I have been working out what to do with all the new options I now have regarding this, and start writing the code for the new tool. It looks as it can be pretty awesome. It will have lots in common with desktop publishing. This means there will be almost unlimited ways to create stunning covers and presentations, greeting cards, posters etc. That said, it requires a lot of work from my part, and it will take some time to finish. I do expect to have something to show late in next month, but I will post updates on work progress along the way. Besides this new tool I am also working with the video player part and the converter. Still not finished with the update of the pictures&audio2video either. I did run into a few problems I need to solve to get it to work the way I want. Those problems forced me to rewrite a large part of the program, but the tool itself will be quite a lot better. You can expect updates of all above tools before christmas. As some readers know I also have a dog that take up a lot of my time. If you want to know more about me and my dog you will find lot's of pictures and info on my Facebook page. Update 31.10.2014 - Work Update! Update 17.10.2014 - Work Update! Today I have released EDM2014 Video version 3.1. Lots of new tools/filters/information. See post below. As usual you will find it under my download section. This is a major update and all old versions should be updated to thisone. Do you find any bugs or errors please let me know at this email: webmaster@easy-data.no. Update 16.10.2014 - Work Update! Hello. I have been working hard on the videoplayer the last couple of weeks. There is still some work to be done but it starting to get close to release of version 3.1. As mentioned before this version has lots of new stuff. There is added a searct engine to the Playlist, several different ways to merge .VOB files, some nice ways to get information on movies, actors and highest rated TV-series and Movies (also by genre). There is also added several new filters, and option to edit/finetune some of them. Update 11.10.2014 - Work Update! In the latest update of the EDM2014 Video I did add a smartblur filter. On ordinary computer screens this filter could be a bit "to much", but a few days ago my wife and me watched some movies on our computer setup in the livingroom (using a big TV screen), and was amazed of how well this filter works when used on a TV. This is highly recomended for movies that's not 720p or 1080p! I finally feel the programming itch again. I was pretty fed up before summer this year, and has struggled a bit to get back to the right feeling again. Now my head is full of ideas and it is hard to break up and go to bed at night. I really love that feeling. The next update of the video player is going to be huge. Lots of new stuff, and enhancements. More filters, more tools, and better quality output. The next version is also using the ffmpeg.exe as a tool to do some corrections to video files thats right now is unavailable from within the EDM Video. That said, there wil be options to run commands from inside the player, but the real job is done by a dos version of ffmpeg.exe. ffmpeg.exe can be quite hard to understand and use for most peoples, so I am going to try to prepare a simple way of get the job done for some of the most basic commands directly from inside the EDM2014 Video by the use of batch files. Like correcting audio/video out of sync etc. Some of the new tools inside the player are a .vob file merger where you can choose from several different ways to merge the files, and a search engine to use with the current playlist. Besides there will be several new filters, and options to finetune each one of them. Update 06.10.2014 - EDM2014 Video v.3.0.12 Update! Update 02.10.2014 - Work update! 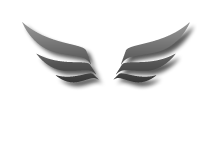 I am working on some filters to use with the video player part. Some just for fun, and some to get better quality playback. I also work on improving translations for the player. If all goes well, there will be an update in a day or two. The Alexa rank of easy-data.no is still climbing. Today I am ranked at 112.449 in the world, and 265 in Norway. So keep up sharing this site with your friends :-). Update 19.09.2014 - Work update! Today I have been working on a Canon IPF 8100 Plotter. It seems to be in good shape, but I do need to replace the left printhead and the Maintenance cartridge. When this is done I will probably sell it to a norwegian customer for about 20.000,- nok. If interested please contact me by email. Below is a picture taken today. Update 16.09.2014 - EDM2014 Pictures&Audio2Video! An updated version of this tool is released today. A few bugs has been fixed, and some small changes to make it a little bit more easy to use. A new resolution is also added. This tool is perfect to create nice videos with audio out of your favorite pictures. The output can be played on any video player that supports .mp4 video format. If you dont have a video player that does, just download the EDM2014 Video from my download page where this updated tool also is available. If you want to share the videos you create online I suggest converting the output with EDM2014 Video Converter to get a filesize more suitable for online streaming. Update 15.09.2014 - Work update! Tomorrow a new update of EDM2014 Pictures&Audio to Video will be released. The current version had a few bugs that is corrected now, and a few changes has been done to make it more easy to use. Today a new updated version of EDM2014 Video is released. This update fixes some bugs with norwegian subtitles, and hence only usable for norwegians. There are a couple of other changes as well, but download is suggested only if you are in need of the subtitle fix. The burner part of the video player is for now removed. It will stay that way until I can get it to perform better than the previous one. The torrent tool does not work at my place right now, but as piratebay changes settings all the time it seems that my support for this site comes and goes. It has been down before, and will come back to life again. So this part remains untuched. Just try again after a day or two if it dont work. As usual the updated player can be downloaded from the download page. The work on this site and my tools has started for full again after summer, but due to a new job I am going to start with I will need a couple of days off from programming this week. Meanwhile, have a great time to all of you! Ok, now work with my tools and website has started for full again. The last couple of months I have been using most of my tools quite a lot, and have found several things that should be changed or fixed/added. The first application update is coming on moday. It is the videoplayer part that needed a few fixes with the subtitle support. Also, yet another update of the ffmpeg was needed + a couple of other things. I hope you all had a nice summer. We here in Norway sure did. I just have to admit that there has been quite little work going on lately. Nice weather and summertime makes me wanna go outside with my dogs instead of sitting in front of my computer. I am going to have a couple of weeks off before continuing programming. So in the meantime take care and have a nice summer. Below is a new test video created with EDM2014 Pictures & Audio 2 Video. The pictures in this video is taken on some of our walkabouts this summer. Update 07.07.2014 - EDM2014 Video v.3.0.10 Update! As promised! Here is the updated Video Player part. Version 3.0.10. Changes is new FFMPEG version and a simple burner tool. The burner tool is in a alpha state, and will be changed in near future. I just added it to do some tests before creating it as it will be. The future changes will add options for audio burning and image creations, as well as a better error handeling system. As usual you will find it on our download page. Update! While I was uploading the player and new pages we had a power loss in my hometown causing lots of trouble. I hope everything is ok now, but if you get any error messages please inform me. Ok. Now things start to be finished here. The updated Video Player will be released on monday! The work with the audio player also goes well. Both the Video Player and the Audio Player will from now on have a inbuildt cd/dvd burner tool. Nothing fancy, just simple and straight forward to use. A couple of days ago I was watching a Danish movie called Kartellet. The movie itself was quite average, but when the credits came at the end of this movie a song was played that I'd really did like. The song was named "Cat in a box" and the band was "Retox Panic". This is a Danish band with the following members: Johan Olsen, Simon Beck and Lykke Andersen. I did like this band so much that I had to post a couple of their songs here for you to listen. This is from the movie Kartellet. The next one is called Ozone, and is from their album "This City Burns" Released 2011. Ok, have a nice weekend, and remember to get the updated player on monday. Update 30.06.2014 - Work Update! Update 19.06.2014 - Work Update! I do need to work a bit on the videoplayer part again. The FFMPEG version has changed and thus I do need to update the player. There is also going to be a few more changes to the code, and probably a new little tool inside the player. You can expect an updated version in a couple of days. The Audio player part is also almost ready for release, but I dont think it will be uploaded before early next week. Update 10.06.2014 - Work Update! Since last update I have been working on the Audio player part again. I had one day off reasoned my main computers screen suddenly died. It is still hard to say when the audio player will be ready for release, but I think it will be finished this month. The world rank of easy-data.no is still climbing. Today I have a rank of 139 657. So it seems peoples do like my software. As you all know, all tools released at easy-data.no is 100% freeware, and the only way I make money on my tools is by adverts at this site, and the option to let peoples donate to support developement. If you use any of my products please consider a donation or a little help by telling your friends about this site and its tools. Update 05.06.2014 - NEW TOOL! The brand new EDM2014 Pictures&Audio2Video is finally released. This is a simple, yet powerfull tool to create video slideshows with audio. Combine your favorite pictures and music, select timeframes and transition effects ++. Supports most audio formats. There is no need for codecs as this tool has everything inbuildt. This application is fully portable. To playback the created video files I suggest EDM2014 Video. Both tools you can find on my download pages. A help page is under construction and will be available later tonight. Hello. Below is a demo output of the upcoming tool EDM2014 Pictures&Audio2Video. This tool will be released within a couple of days, and is perfect for creating nice presentations of your pictures. The sample below is a 58 mb file with resolution 1900x1080. It is really simple in use. Just select the pictures you want, then the audio .mp3 file. Thats it! Have a nice day! Hello. The audio player part is put on hold for a little while. The reason for this is that I have been asked to finish the Picture and Audio to Video tool as soon as possible. This let me make some extra money, and since all my tools are freeware it is nice to get payed for a change :-) The audio player part will only be delayed a couple of weeks, so it should not be a problem. Recently I have been asked to develop a few private non multimedia applications for a customer, and this is something I am looking into. Just to make it clear, I will continue with all the tools on this site, and all promised upcoming tools. I think I could manage to do both without problems. So, all in all its just a bit more work than before. Nothing else is changed. 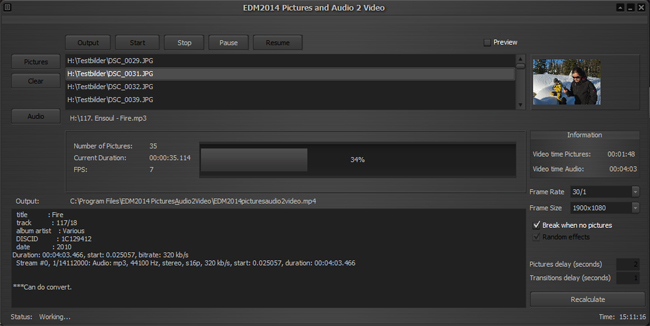 Anyway, the next tool up is now set to be the standalone part of EDM2014 Pictures and Audio to Video tool. This is a rather simple tool, and should not take long to finish. Maby a couple of weeks. So, until then, have a nice time. 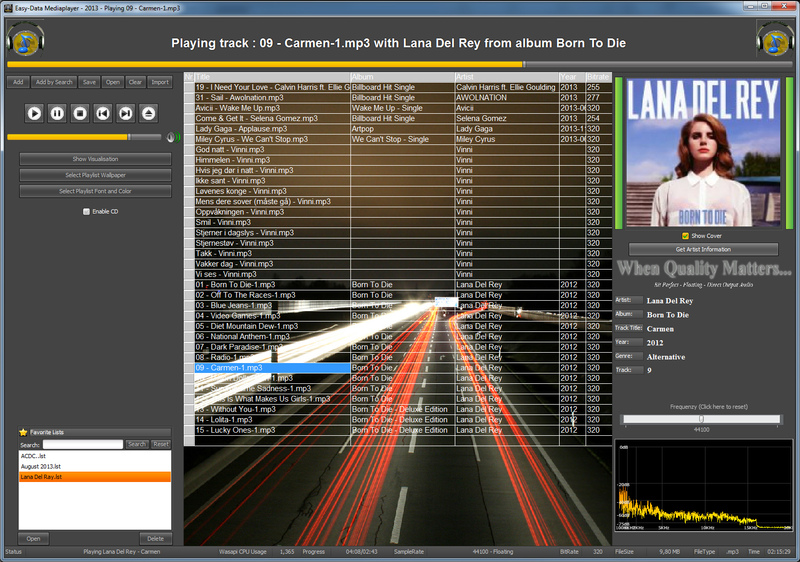 Easy-Data Mediacenter is more than just a audio/video player. It is a multimedia application with lots of useful tools regarding audio/video. No other media player is even close when it comes to usefulness. Still, it is completely portable and does not need installation, No registry settings added, and no external codecs needed. Easy-Data Mediacenter is developed for use with television screens, hence the rather large program window and big buttons. But it can also be used on normal screens. The Audio part of the program is able to deliver outstanding sound due to the use of wasapi. On a normal computer you wont be able to make much difference, but when you connect a decent receiver to it then the sound quality will blow you away. There is not much settings regarding sound. EDM2013 delivers bit perfect (untouched) sound to your receiver and let it handle the processing of the sound as a receiver is able to handle this way better than any simple sound card on a computer. EDM2013 is under constant developing and is still far from finished. I have stated that within 3 years from now it will be the absolute best media player on the marked. It is already the best regarding number of tools, and also one of the very few able to deliver bit perfect sound. But everything can always be better, and that's what i am aming for in the future. I don't want this program to be good, I want it to be the best! Video Player, Video Library and Play lists. Audio Player and Audio Library. Video Converter, Video Joiner, Audio/Video Merger. Pictures and Audio to Video. Image Slide show with lots of options. CD Ripper with free db lookup. Uses Wasapi Excusive Mode and floating channels. Supports almost all known audio and video formats. Subtitle search, Artist info ++. Below is a sample of some skin effects. Example of skin effects in audio player. Video player with decoder window opened. Finally, if you are looking for great freeware this place is one of the absolute best places to go!